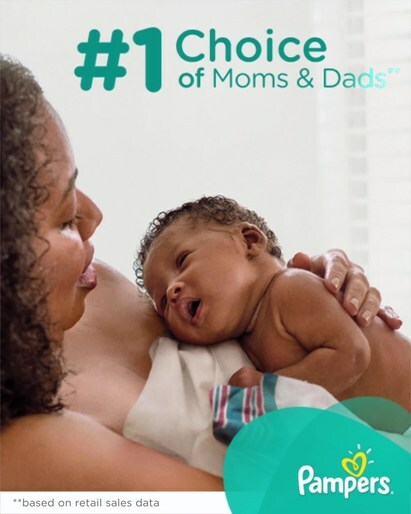 Amy Postle's new Pampers Swaddler's campaign! 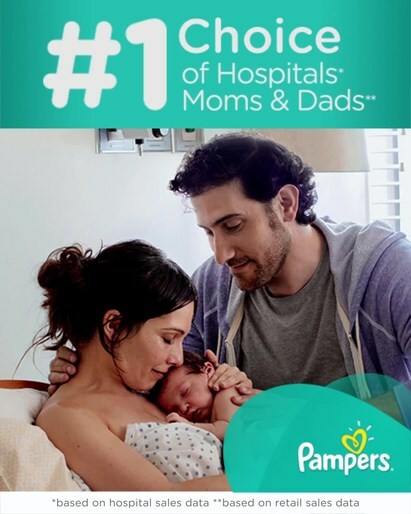 Pampers has a new line of diapers meant specifically for newborns, Swaddlers, and they chose Amy Postle to shoot the campaign! Working with infants at that age and size is no easy task, but Amy is the perfect photographer for the job. Her special connection with talent (adults and babies alike) creates a calming environment for her set, and her gorgeous natural light brought the images to life. To see more of Amy's advertising work, click here! New work by Amy Postle! Amy Postle has been updating her motion reel, and we're so excited to share two of her latest videos with you! Check out some recent posts from Ashley Klinger & Co. photographers! Ryan Liebe is breaking our hearts with this back-to-school post! A breathtaking shot from Denmark by Sue Parkhill! And a farewell to summer, shot by Lucy Schaeffer with a drone! Check out the Ashley Klinger & Co. instagram to see work by some of our other talented photographers! Celebrate Summer with Amy Postle! We can't believe summer is already half over! To cheer everyone up, we had to share this new beautiful backyard series by JMI photographer Amy Postle. Her knack of capturing a child's pure joy never ceases to bring a smile to our face. Wishing you all a sun-filled weekend! Amy Postle for Family Circle! New work by Amy Postle is featured in the latest issue of Family Circle magazine! Out now, the January issue features two stories in the "Modern Life" column, photographed by Amy, following two families in New Jersey and Michigan, respectively. Read all about Amy's experience shooting for the "Modern Life" column in Family Circle on her blog, and for more from the JMI photographer, visit: www.jmireps.com! CBS Boston Radio Interview with Amy Postle! If you haven't listened to CBS Boston's latest radio broadcast with our very own Amy Postle yet, it's about time you did! The interview was conducted in December as part of a nationwide satellite media tour for Kodak Alaris - a tour that led Amy to appear on over 30 morning shows across the country! Featured on CBS Boston's morning radio show, "Women's Watch," Amy's interview touches on a number of subjects, including photography, creative inspiration, and of course, female empowerment. To hear the full interview, click here: http://cbsloc.al/1yxTVgm! ...And for more from Amy, visit: http://www.amypostle.com/! April is Autism Awareness Month, and as a result, a number of editorials are banding together in the publication of articles highlighting the growing need for awareness on, and education about, Autism. Therefore, the inclusion of "Staying Friends Through Autism," an article photographed by JMI's own Amy Postle and featured in this month's Parents magazine proves extremely apropos. Shown below, the affecting article exposes one woman's experiences raising an Austistic child. Read her touching story, accompanied by Amy's beautiful photographs, below, and for the full article - be sure to pick up the April issue of Parents, out now. Amy Postle Shoots New Campaign for Stendra! Amy Postle does it again! The JMI photographer shot this amazing new ad campaign for Stendra! Out now, the campaign showcases Amy's unique ability to render unfeigned, beautiful, genuine photographs. Check out a few of the campaign materials currently running, below, and for more of Amy's stellar work, be sure to visit the JMI site! Amy Postle Shoots Two Stories for Parents Mag! If you haven't picked up the latest copy of Parents yet -- we suggest you do! In the December issue, out now, the family publication features not one, but TWO, stories shot by our very own Amy Postle! The first article is a technology-focused piece, appearing in the form of an at-home quiz and exposing the extent to which the current generation of kids is "plugged-in". The second story, which appears later on in the mag, showcases a new-to-the-market, kid-approved play camper -- perfect for the quickly-approaching giving season. Check out the full articles below, and for more of Amy's kids' work, be sure to visit the JMI site! Amy Postle for Parents Magazine! Have you picked up a copy of Parents?! In the summer issue, out now, JMI's own Amy Postle shot not only the publication's cover - but also THREE feature stories! Below are some of our favorite shots from the issue - but don't take our word for it! To read the full articles, or to check out more of Amy's photos, be sure to pick up a copy of the magazine for yourself, today!! On the heels of her recent inauguration into Rehabilitation Through Photography, a New York-based NPO centered on the rehabilitative capacity of the creative arts, photographer AMY POSTLE sat down with JMI to talk about the program, her inspiring involvement, and the true power of creativity. JMI REPS: You've recently become involved with the Rehabilitation Through Photography NPO here in New York. For those who are unfamiliar with the organization, what can you tell us about it? AMY POSTLE: Rehabilitation Through Photography is a local not-for-profit that, for 70 years, has implemented a broad range of photography programs to various populations throughout New York, including the physically and emotionally challenged, elderly, at-risk youth, homeless, and the visually impaired. JMI: What is your roll in the program? AP: My program takes place at Marilyn David IVDU Upper School, a special needs high school for girls in Brooklyn. I am a volunteer photography instructor who created, implemented, and am currently teaching weekly photography classes to eleven emotionally and socially challenged girls, ages 13-21. JMI: What techniques are introduced during a typical class period? AP: We work with point and shoot cameras, learning practical skills while exploring the creative process. JMI: While clearly centered on the photography process, what else would you say this program offers its students? AP: My goal is not only to expose the students to the creative arts, but to enhance their life skills...to inspire and enable (them) to channel their energy in an open and expressive way, reinforcing independence, self-confidence, and a sense of accomplishment. JMI: What has been one of your most memorable classroom experiences, thus-far? AP: The highlight of my first class was a breakthrough I had with one of the students, Tahilla. Having been warned of her intense shyness, it was an overwhelming feeling to have her engage, ask questions, and be very focused. Watching her explore the room with her camera was equally exciting. She was drawn to shapes, color, and she, who had never even held a camera before, by far captured the most creative images of the day. JMI: What insight has being a part of this program given you into the power of photography as a vessel of expression? AP: While I love my commercial work, the joy I am receiving by helping these girls is so unique. In my class, I see students connecting to each other and to the world through their cameras...the creative process is helping them find their voice. For more on Amy's involvement in the Rehabilitation Through Photography program, visit www.amypostle.com - and be on the lookout for the next Q&A with LEE CLOWER, coming soon! Amy Postle Featured in REDBOOK! Have you seen the latest issue of Redbook?? Out now, the magazine includes a feature story with photographs by our very own AMY POSTLE! Located in the "Men, Love & Family" section of the mag, Amy's shots beautifully capture the February issue's "Hottest Husband 2013" contest winner and his family. Take a peek at Amy's adorable photographs, below - and for the full story, be sure to pick up a copy of the magazine for yourself!! Check out Amy Postle's latest ad work!! 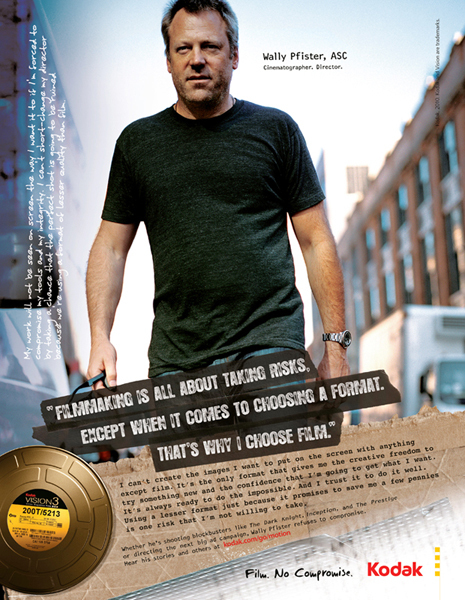 Amy shot this campaign for Miralax with NY agency PublicisKaplanThaler. They went to Lehman College in the Bronx on one of the hottest days of the year to shoot this ad. Luckily it doesn't look like the model is sweating from the heat, only from lugging that huge bag up the stairs. Great job Amy! Parents Magazine Cover Shot by Amy Postle! Amy Postle's "Hot Mama" story in Fitness Mag! This one's for all you mama's out there! We love this story that Amy Postle shot for the September issue of Fitness Magazine! Amy's ability to capture the essence, comfort, and confidence in their own skin contributed to the tremendous success of this shoot! The ladies in the story sure do have a lot to be proud of! Four inspiring moms decided it was time to get active again after having their kids. Instead of living with babyweight blues, these ladies, with the help of Fitness, lost the weight and are feeling great! Their stories can inspire women, even those who haven't had babies yet! Go girl! Amy Postle shot this awesome summer cover for Parents Magazine for the August 2012 issue, on stands now! Be sure to go pick up a copy for some great summer parenting tips and to see more from the shoot! Kids in the Summer Sun! Well, it's Friday and GORGEOUS out. Weather for the weekend is looking pretty good according to our sources...are you gonna do something outdoors? If so, you should check out the article in the June issue of Parents Magazine all about safeguarding kids from harsh summer sun! Amy Postle headed down to Miami to shoot for Parents and had a blast doing so! Adorable shots and an informative article all in one! Check out the article to learn a thing or two about protecting your childs precious skin! Be sure to lather up and enjoy the weekend! Check out Amy Postle's latest story in this month's Fitness Magazine on newsstands now! Amy Postle recently shot an advertisement for Kodak's motion picture film campaign, Film. No Compromise. The portrait is of Cinematographer Wally Pfister, currently nominated by Oscar for his beautiful work in the movie Inception. She told us it was a really cool guy, great shoot, beautiful film. More to see on her personal site - check her out!